Share your screen during video calls. 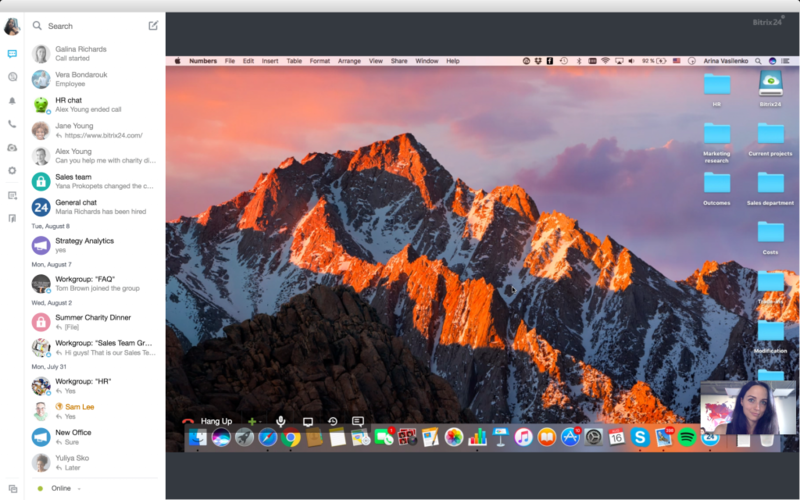 In order to enable screen sharing, you need to make sure that you have the latest version of the desktop app installed. 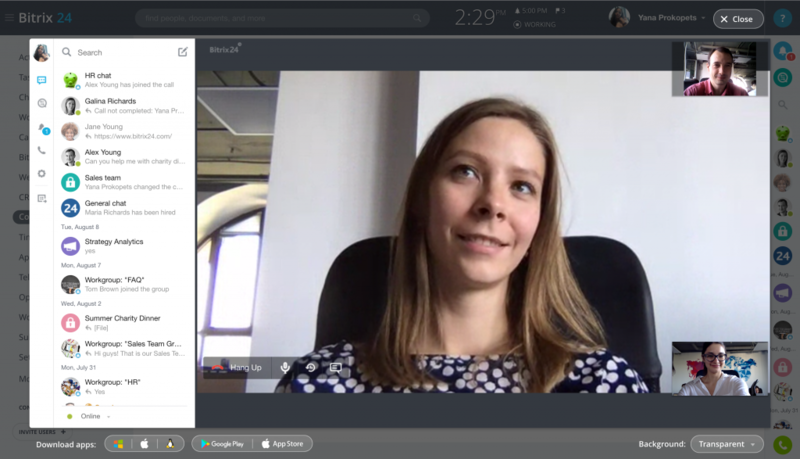 You’ve probably noticed that we also support the 16:9 HD videoconferencing format, which is quickly becoming the defacto standard for real time communications. Video conferencing is available for small groups for up to 10 users. In Bitrix24 Mobile app, you can perform only one-on-one videocalls.